Learn Languages - busuu Premium 7.11.0.144 | Free eBooks Download - EBOOKEE! Posted on 2016-10-24, by manhneovn. Don't just learn a language, fall in love with it! 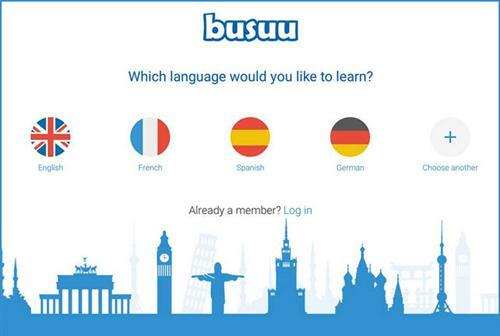 Your language learning couldn't be more fun and easy than with busuu. Learn Spanish, English, French, Russian, Chinese and 7 other languages with the help of over 50 million people worldwide that use busuu. Rated by Google as a "Must have app" for Android, busuu's language learning app is the quickest and best way to learn a new language in just a few minutes a day, so download it right away. - Learn the basics with vocabulary & grammar units, audio dialogues, language games and interactive tests. - Submit practice exercises where native speakers will help you perfect your skills. - Set yourself a personalised goal to ensure you are reaching your learning objectives. - Personalised to fit your style of learning, ensuring you become proficient in the shortest possible time. - Learn the most important 150 topics and 3000 words, specific language training. - Test your knowledge with fun quizzes and word games to see how much you have learnt. Language learner, are you having problems or do you simply just want to help improve the product with your feedback? Please, visit our help centre at https://busuu.zendesk.com/hc/en-us or contact us directly at team@busuu.com . - We have massively improved "My Vocabulary" so you can now see the strength of each word and practice weak ones. - See that little health bar on each word? It represents the "strength" level of the word, figured out by our algorithm. Every time you review a word using our Vocabulary Trainer, its strength level will increase. - Simply tap the button at the bottom of the screen and choose which set of words you'd like to train. If you enjoy busuu, please leave a nice review on the store. No comments for "Learn Languages - busuu Premium 7.11.0.144".